Although most people think of sugar as simply a sweet treat that should be consumed in small portions, many of the foods you eat consist of sugar molecules. Carbohydrates, one nutrient the body needs in large amounts, consist of sugar molecules. Each different type of sugar molecule affects the body in different ways. This complexity of sugar explains why it provides both nutritional advantages and disadvantages. Carbohydrates are divided into three different groups: simple sugars, starches and fiber. Sugar is the basic building block of all these carbohydrates. Simple sugars include both the single sugars, known as monosaccharides, and the double sugars, known as disaccharides. 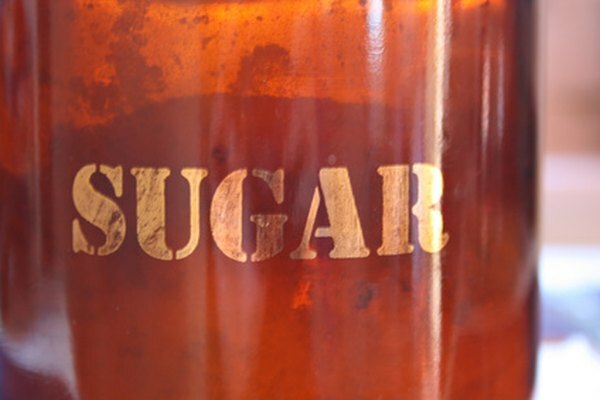 The single sugars -- glucose, galactose and fructose -- contain only one type of sugar molecule. The double sugars contain two types of single sugars combined together, such as lactose – the milk sugar – which consists of glucose and galactose. Starches and fiber, such as cellulose, are polysaccharides because they contain three or more sugars. Carbohydrates serve as the main source of energy for your body. Through the process of digestion, your body breaks down carbohydrates and converts the sugars into glucose – commonly known as blood sugar – which the cells utilize for energy. To support your body’s energy needs, carbohydrates should account for 45 to 65 percent of your total calories per day. Although all sugar provides the body with energy, how quickly the body breaks it down affects the blood sugar levels. The body breaks down simple sugars quickly, causing a spike in blood sugar levels. The body responds by producing and releasing insulin, a hormone produced by the cells in the pancreas necessary for cells to intake glucose. Over time, the increased demand on the pancreatic cells can make them wear out, leading to a decrease in insulin production. This insulin resistance can cause diabetes and contribute to heart disease risk factors like high blood pressure and high blood cholesterol levels. This negative effect on blood sugar is a disadvantage of some sugar molecules. The body breaks down other types of sugar, such as fiber and some of the starches, more slowly, which helps to keep blood sugar levels constant. This not only reduces the strain on insulin production, but it also helps in maintaining a constant weight. Many foods that contain sugar also contain a large number of calories and a high fat content. These factors together can contribute to weight gain. Foods that contain added sugars -- those that do not occur naturally -- also cause weight gain that can lead to obesity. The more sugar that is added to a food, the more calories it has. Because most of the foods that contain a large amount of added sugar, like soft drinks and desserts, also contain very few -- if any -- nutrients nutritionists classify them as nutrient-poor foods, also known as empty calories. Consuming a lot of empty calories means that you cannot get your required nutrients in the required amount of calories resulting in the consumption of too many calories. Therefore, sugar in general is associated with weight gain and obesity, a condition that affects nearly one-third of adults in the United States.